The biggest names in arboriculture gathered for workshops, seminars and live demonstrations by tree climbing champions. 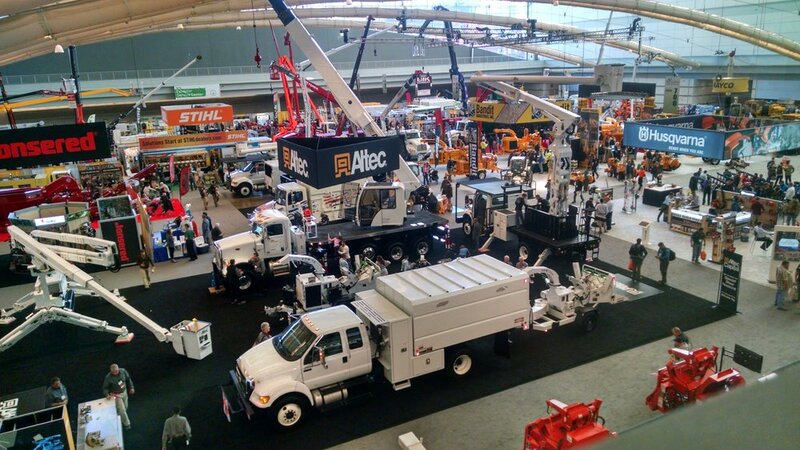 TCI EXPO 2015, the world’s largest tree care conference, hosted by the Tree Care Industry Association, just wrapped its 25th anniversary show at the Lawrence Convention Center in Pittsburgh, Pennsylvania. Barrett Tree Service East joined over 2,800 tree care professionals from all over the world for three days of business, safety and arboriculture. This annual conference combines the unparalleled value of a first class conference education and endless networking opportunities with top tree care leaders, colleagues, vendors and manufacturers. The biggest names in arboriculture came together for workshops, seminars and live demonstrations. TCI EXPO is designed specifically for the professional arborist and offers the unique opportunity to visit more than 200 exhibitors highlighting the latest industry innovations in tree care gear, products and equipment. TCI EXPO is one of the best places to stay current on everything happening in arboriculture from new pruning standards and recent advances in technology, to threatening invasive pests. TCI EXPO is designed specifically for the professional arborist highlighting the latest in tree care gear, products and equipment. In addition to the trade show and conference, TCI EXPO hosts Student Career Days, which drew 182 college and high school arboriculture students from across the country. Student Career Days gives students enrolled in horticulture, forestry and related programs an inside look at the field they’re studying and to explore potential career opportunities. BTSE attends the TCIA EXPO as a group because we value the unique opportunity to gather with thousands of professional arborists to learn about the latest innovations, research and education in arboriculture. We actively engage to promote our continuing education as the foundation for required to responsible care for our clients and the trees of Greater Boston.